Call of Duty: WWII has already been expanded with one DLC pack(The Resistance) and a second has just been announced. This will follow a similar release pattern, hitting the PS4 first before landing on the Xbox One and PC at a later date. There was a pretty big gap between The Resistance’s two versions: PS4 owners got to play it in late January, while Xbox One and PC gamers had to wait until March. 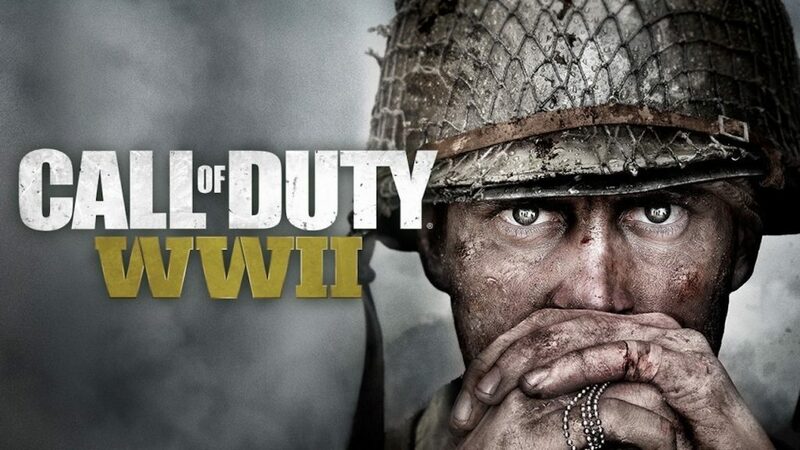 The new Call of Duty: WW2 DLC is titled The War Machine, and will introduce some mouth-watering new content for Sledgehammer Games / Activision’s mega-hit title. What is The War Machine DLC? Let’s take a closer look at each part of The War Machine DLC. Dunkirk (still fresh in many people’s minds since last year’s movie) features a beach area, buildings, and plenty of sniping spots for a strategic approach. 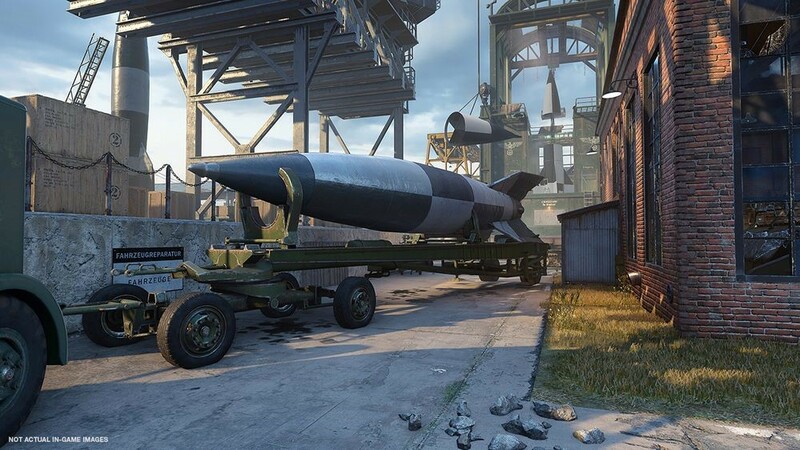 The top-secret V2 rocket R&D site is designed to be a relentless, fast-paced map not for the faint of heart. 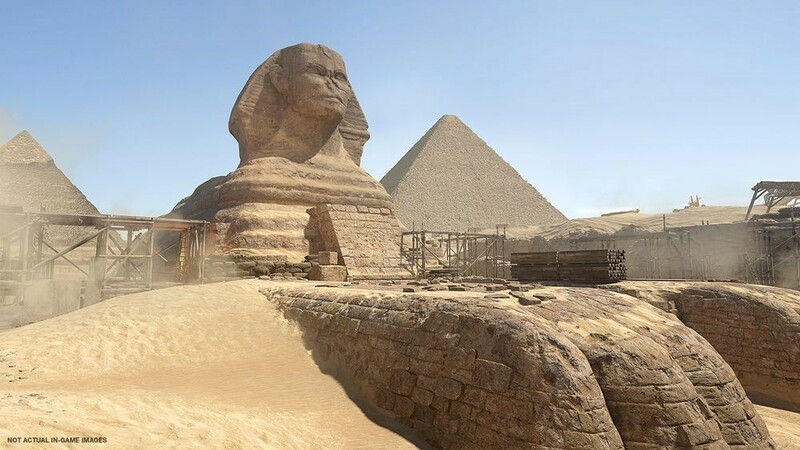 Call of Duty: WW2’s Egypt map lets you go to war amidst the Giza ruins, which promises to suit all playing styles This sun-bleached location should give the game a refreshing look and feel.. This new War Mode (co-developed with Raven Software) focuses on the Allies attempts to capture information on key German targets in Naples and Palermo. Operation Husky will combine on-foot and flight gameplay, demanding you gather the critical intelligence before taking down enemy planes to clear the way for Allied bombers. It sounds like it should be a blast. Last but by no means least, The Shadowed Throne continues the intense Nazi Zombies mode, taking the action deeper into Germany’s darkness. The team of zombie-slayers – Marie, Olivia, Jefferson, and Drostan – have to stop Doktor Straub while taking down his undead army. The title’s pretty ominous, and we’re promised lots of scares and carnage. When is Call of Duty: WW2: The War Machine Released? PS4 owners can download The War Machine on April 10th. No date has been set for the Xbox One and PC releases yet, but it shouldn’t be too long after. As you can see, The War Machine DLC looks set to add some great new content to Call of Duty: WW2, with aerial combat, more zombies, and diverse maps to enjoy! 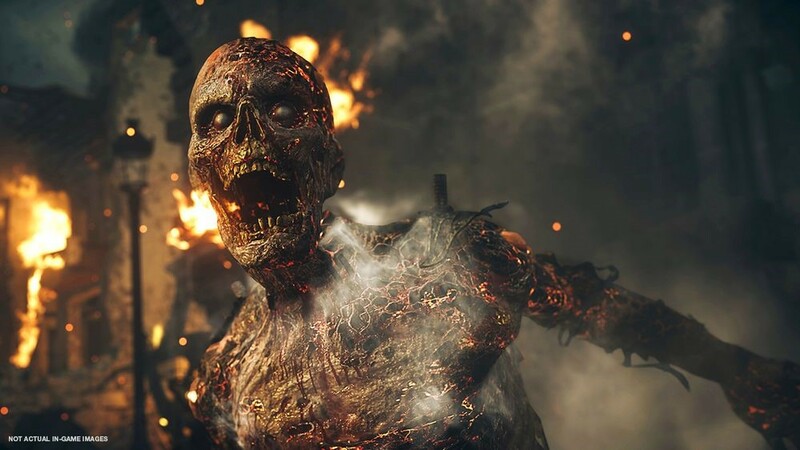 The new Call of Duty: WWII: The War Machine DLC has been announced, featuring extra maps, aerial combat, and more zombies. Are you excited to try the DLC’s new content? Let us know! What are the PS Plus and Games With Gold Freebies for April 2018?